This map displays the travel routes of the Russian traveler N. M. Przevalskij in Eastern Turkestan, Mongolia, China and Manchuria. 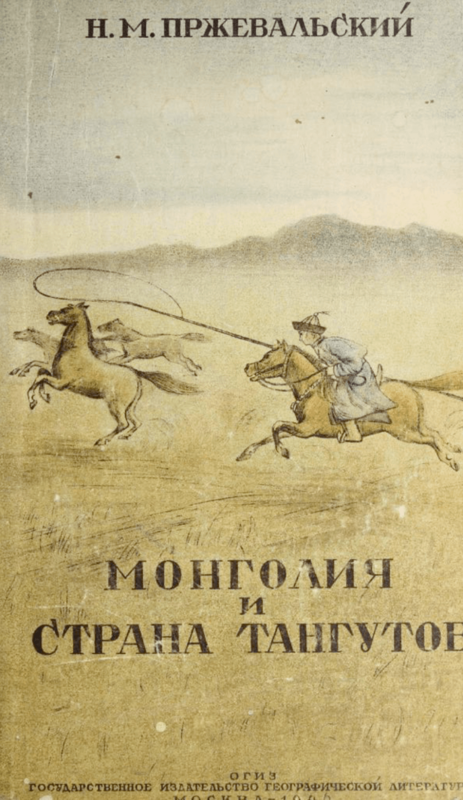 Together with another map of travel routes in other parts of East Asia it constitutes a complementary document to Монголия и cтрана Тангутов: трехлетнее путешестие в восточной нагорной Азии [Mongolia and the land of the Tanguts: a three-year journey in the mountainous part of East Asia], written by N. M. Przevalskij and published in 1946. Beijing appears on the eastern-most fringe of the map, while Kashgar marks the western limit. To the south one finds the Kunlun Mountains, the Gansu region and Tibet, and to the north Mongolia and the Russian border. 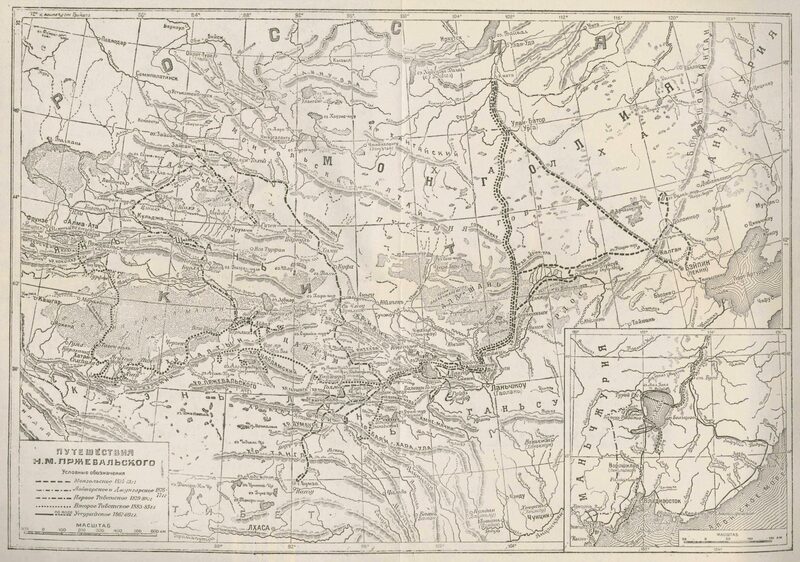 Manchuria and the city of Vladivostok, both of which are located further north, beyond this map, appear on an inset map in the bottom corner of the larger map. 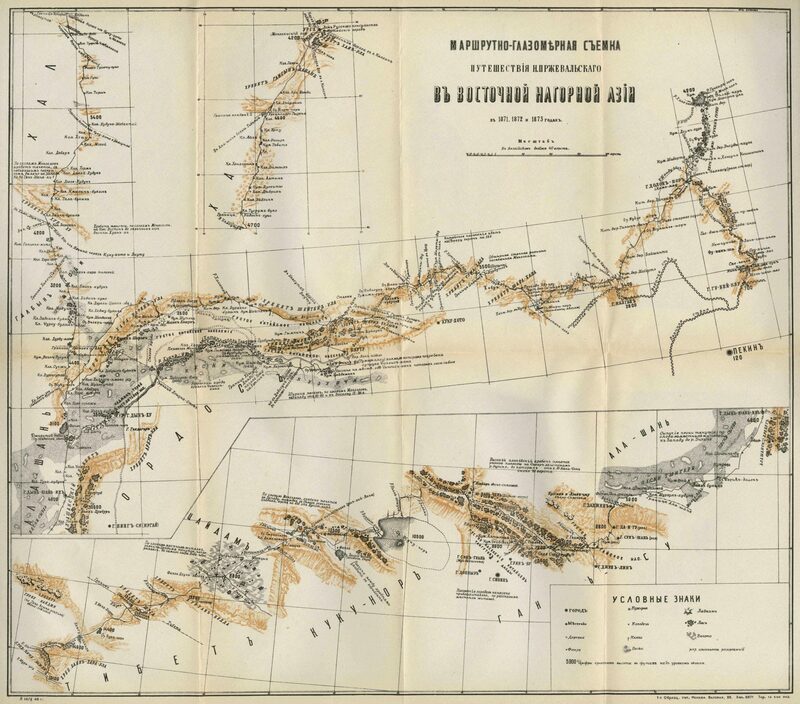 The routes of expeditions to Eastern Turkestan carried out by the author between 1867 and1880 are all marked on this map: the Mongolian expedition in 1870-1873; the Lop Nor and Dzungaria expeditions in 1876-1877; the first Tibet expedition in 1879-1880; the second Tibet expedition in 1883-1885; and the Ussuriysk expedition in 1867-1869.